To get your brand to appear in an online search and add your voice to the conversation, companies need to think about what people are likely to search for and where it will take them. Keywords and SEO (search engine optimisation) are intrinsically linked when it comes to running a winning search marketing campaign. One such campaign, which recently claimed one of the highest honours at the Cannes Lions: the Grand Prix in Print and Publishing, was from Budweiser. The global beer brand launched an inspired advertising campaign integrated with a keyword and SEO element that helped to tell the brand’s story. In line with its tagline, ‘the beer behind the music,’ Budweiser’s Tagwords campaign encouraged consumers to proactively unearth evidence of the beer’s connections to music by searching for specific phrases online and bypassing any strict copyright laws in the process. The activation in Brazil included an OOH element plus print ads and video. 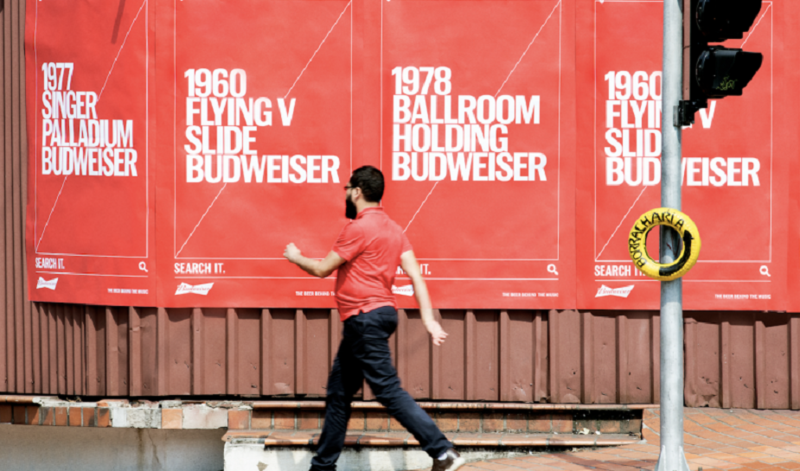 Each advert featured a red backdrop and white font that asked passersby to search for a string of keywords that lead them to photos online of legendary musicians holding cans of Budweiser. 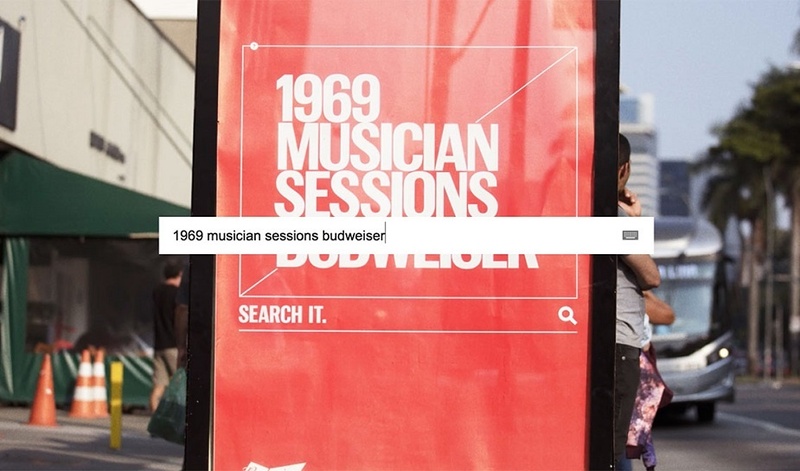 The overarching instruction says ‘1969 musician sessions Budweiser’ which when entered into Google brings up a host of images of stars, past and present, enjoying a Budweiser. Another, more specific search is ‘1965 poolside Florida Budweiser’ which produces an image of Mick Jagger with a can of Budweiser on a sun lounger. And ‘1987 California hip-hop Budweiser’ links to a photo of the Beastie Boys performing with a Budweiser on stage in California. To make it successful, the brand tracked all the keywords that linked it to those iconic snapshots. All people had to do was search for it. As part of the highly-engaging brand experience, the adverts were positioned outside of music venues, festivals and printed on beer mats to reach fans. While not everyone will have gone away and searched for the pictures, those whose attention was grabbed by the ads, will have noticed the brand’s subtle but ever-present appearance in the music scene. Backstage, during leisure time and at festivals, Budweiser proves itself to be there. It’s a great example of influencer marketing but by directing consumers to look back in time rather than a present-day sponsorship. The naturalness and authenticity of the photos suggest the genuine relationship the musicians have with the brand. And any influencer fees and copyright laws were cleverly avoided through a simple call to action. Brazil has been the home to some great marketing campaigns recently including the Dress for Respect campaign from Schweppes and this colourful brand experience from paint brand, Coral.